Headquartered in Columbia, Md we are the leading event supplier in the Washington DC area. 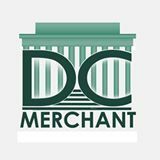 Since 1995 Washington DC Merchant Services has been working with banks, manufactures, suppliers, and organization for most of the items we sell, hence we can offer you a BETTER PRICE than the competition. They even purchase from us. Our staff is are connected Washingtonians who take pride in selling the BEST PRODUCTS available. Our FIRST CLASS SERVICE has been recognized in our industry. It does not matter whether you are a large corporation, small business, or customer, YOU are our number one priority and YOUR SATISFACTION IS GUARANTEED. If you are looking for a professionally done web site or product made we can do it for you. We have helped libraries, academic institutions, government agencies, and landmarks in Washington DC and around the world. No project is to big or small for us. Finally we carry largest open line of patriotic merchandise in the country.